I always had two historical loves which won out over all the others. Sure, there isn’t a time and place I can’t not find interesting or even devote significant amount of time to reading up on, but my true loves that beat all the others are Eurasian nomads and Native American studies. So it has been since my teens, and remains so to this day. Just today I realized a concept I learned in the study of one might make more sense applied to the other. When I made the transition into International Relations I became aware of geopolitics. There was a lot to disagree with as well as agree with and parsing through the gems from the coal became one of the purposes of this very blog. Even the founding article of the field, Mackinder’s ‘The Geographic Pivot of History’, is so full of holes a knowledgeable person can leap through with space to spare. But this first halting step did create new and interesting discussions in policy circles back in its original context of rampant Russophobia in Britain and the Anglo-Japanese Alliance and Russo-Japanese War which was occurring at the time of its publication. Though that war would show that the Romanov Dynasty had feet made of clay and that Germany was Britain’s true rival, the core thesis had one very stark and obvious insight: that Eurasia was rich in population and resources and the closest thing we have to a super-continent right now. Thus if one power could dominate it, it would truly be unstoppable and quite possibly unassailable. If anything, Soviet defense in depth and being able to shuffle resources back and forth from frontiers with Germany and Japan in response to changing circumstances lent the theory some real world credit in the Second World War. It certainly interested Cold War strategists in the NATO world. Nowadays, it has spawned a quite bizarre, almost theosophist-mystic form of geopolitics in Russia. Alexander Dugin, a kind of Blavatsky-Evola-Rasputin hybrid creature, waxes poetically about Russia’s need to directly annex a variety of countries and regions and apply them to some kind of fascistic definition of Eurasian solidarity that would have made the tolerant and flexible Mongols he claims to idolize sneer in contempt. But that is a different subject from this post. Brzezinski’s book ‘The Grand Chessboard’ shows the American take on the subject is still here as well. The point is, whether for good or ill, World-Island Theory (the term for Eurasia’s central role in geopolitics) is still strong. And while I hold the central observation of Eurasia’s massive importance to be largely correct, I dispute that it has yet to achieve its potential. North America, on the other hand, already has. In a great irony of prehistory, the horse, which first evolved in North America, would end up going extinct there while the Eurasian migrated branches of the species would survive, thrive, and go on to play such an important role in human history. The Americas, by and large, are severely lacking in indigenous domesticated animals which can be put to human use. Jared Diamond’s ‘Guns Germs and Steel’ and Charles Mann’s book ‘1491’ goes further into detail into the science behind this observation, as do many other works. The point is, lack of such beasts hampered both mobility and disease resistance, as this is mostly acquired through close contact by living with domestic animals. As it was, when horses returned they quickly went wild, almost as coming home. The Plains tribes rose to a massive gain of power projection and living standards practically overnight in the late 17th and early 18th Centuries due in no small part to these creatures. All this despite already have suffered through waves of depopulating plagues. By that point it was too late to undo the effect of thousands of years of their absence, but the rise of the Comanche Empire, which would humiliate the frontiers of New Spain and then Mexico for over a century despite a calamitous demographic situation for the Native population speaks volumes. Imagine, if you will, a world where horses never died out in the Americas before being reintroduced by the Spanish.The percentage of the land taken up by the Great Plains is far larger, proportionally, than the great Eurasian Steppe, where the nomadic people there did so much to spread trade and technology from one end of the land mass to the other. One suspects it would be a realm of large empires and thriving trade cities connecting the eastern forest and river peoples to groups far further afield than they otherwise would have direct contact with, such as the Tlingit, Haida, and other Pacific Northwest peoples who had probably the highest living standards of the pre-industrial world and (possibly) a few tenuous trade links to Asia. The greater effort of technology and commerce travelling north-south as opposed to east-west (due to more shifting climate zones) could be overridden by the massive interconnectedness of the Great Plains under nomadic empires. As it was, even with the tragic and utterly unnecessary genocide and driving to the periphery of the Native peoples of North America, a small collection of fractious colonies on the eastern seaboards of both the US and Canada would find a rapid expansion followed by an intense interconnections of resources and peoples-first through rail and then through interstate highways. Now, cheap domestic flight seals the deal. As with all things geopolitics, this is not permanent. It is the interplay of social sciences with the physicality of geoscience and geography that really make the discipline when it is being thorough. One dominant state in the center of the landmass with cordial relations with its two neighbors is not a permanent situation…but it is so far the most ideal conjunction of forces for the wielding of great power politics on a global scale than has ever so far existed. Control of the North American world-island means the security to build bases and dominate trade routes around the entire planet. The British had no defense beyond their navy in a multi-polar Europe, the Mongols were a small minority who ruled with a relatively light hand, and the Spanish came into such a glut of wealth they suffered hyperinflation and became prey for other countries’ pirates. So far, out of this group, only the United States has equaled if not surpassed the Mongolian geopolitical achievement. Good North American strategists see that it is the ocean that is both the highway and the fortification protecting this remarkably secure and wealthy apparatus from Arctic to Panama Canal, bad ones overextend themselves dangerously into Eurasia and Africa. For North America (specifically the United States as the core of this order) to re-learn the strategy it has lost through smug complacency since the fall of the USSR, some kind of American Maritime Focused Hadrian figure is necessary. Right now there is no such thing in the running for leadership…though Congresswoman Tulsi Gabbard points to a distinct possibility for the future. It seems such a waste for such a conjunction of positive forces to be squandered on nation building outside of core maritime connections. Not to mention the human cost of many of these ill-fought out interventions. Perhaps in the future I can write a post about what allies are actually critical to the American edifice. 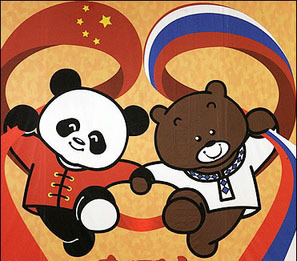 North American geopolitical thinkers also need not fear about Eurasian unification, it is much larger, much more divided (both geographically and culturally) and could only be unified under circumstances that do not presently nor could foreseeably exist in the near future. Eurasia, in the end, is actually a super-continent build for balance-of-power politics, not so much hegemony. After all, when various Chinese dynasties were the leading scientific and technological forces of the world, they still could not meaningfully exert this dominance too far afield. So long as powerful maritime states exist outside of Eurasia, they cannot make such an attempt in the future. The large populations of South Asia and East Asia are not coming together anytime soon, and even a demographically challenged Russia is still playing the game. And even a Eurasia-dominating empire would no longer necessarily be able to overtake a stable North America that retains its decisive role in South America. The cumulative sea-surrounded landmass of the Americas, no longer as hampered by climactic variation and choke-points as it once was, could verily be the real super-continent for strategist of the future to ponder on. None of this is to say that North America will never split apart. The Washington DC hegemony splintering or becoming a Byzantine rump state is always a possibility, causing the political geography of North America itself to create its own states in the Northeast, Appalachia, Southeast, Plains, Rockies, and northern and southern West Coasts-to say nothing of Quebec, Mayan populated parts of Mexico, and all the many other possible conjunctions. States are like people, they have various and finite lifespans. And like the super-continent cycle itself, division and unification of landmasses under specific rule comes and goes from one to the other. This should make it all the more important that strategists in Washington, Ottawa, and Mexico City make the most of what they have now and not through it away on an altar of faddish economic and political theories which exist to self-congratulate the ruling class. The present order of world affairs is not a product of such forces, but rather of smart strategy applied to fortuitous geography. A world-island, if you can keep it. So you have probably heard of the recent ruling in the South China Sea. Considering the internalization of maritime and other disputes that Beijing enjoys deploying as nation-affirming red meat for the people, I would certainly not want to say this issue will be solved anytime soon. However, I would like to posit one even more interesting interpretation-that whether or not domestic pressures force a dangerous showdown in the Southwestern Pacific or not, this ecologically destructive race of island building and extending maritime claims was originally and possibly still is nothing but a geopolitical feint of truly massive scope. Think about it. China is a nation with an ancient history of grand strategy. Many of the best strategists in history come from there and nearly two centuries of a national dark age has knocked the former complacency of several thousand years of relative cultural success out of stasis. Surely, considering these factors, a rapidly rising world power is not yet on track to risk everything in a mad-dash naval rivalry with the United States and its allies? After all, the example of the last country to do that is China’s favorite punching bag: Japan. Only once, in the early Ming Dynasty, did it seriously see itself as a naval power rather than a land power with naval interests on the side. While it is worth considering that shore based anti-ship missiles might have restored the advantage to the defender in naval war for the first time since before cannons on ships, we simply do not know how effectively they will actually be yet. So while retaining the caveat that China might have pushed its maritime claims into its domestic sphere so far that it might be forced to be foolishly belligerent, let me advance the potential for a wiser and probably more likely scenario. The Chinese government wants US forces on the ready in the Pacific. Combined with America’s hubristic and unnecessary proclivity to deploy many forces to the Middle East, this leaves less for Washington to have immediately ready to act in the Indian Ocean. More importantly, the US, having abandoned Central Asia to Russia (and rightly so, as it was an unnecessary extension for a naval power) can now no longer pursue more military and political influence in said region. During the War of Spanish Succession, the Duke of Marlborough on multiple occasions fought against the most powerful army of his day by launching multiple feints, forcing the foe to weaken critical spots in their line by redeploying forces elsewhere to meet his well broadcast attacks. This inactive backwater of the front or battlefield would then become the main focus of his attacks, overwhelming the overburdened position of the enemy. If one views what is often called as ‘The Eurasian Chessboard’ in a similar way one sees an opening for China in the west, which leads to a potential opening south. Even if the Beijing-Islamabad axis never gets any stronger, and India remains strong enough to contain the Indian Ocean, there is plenty to be gained from inland Eurasia. And not a damn thing the U.S.-whose regional role is now to be isolated and bogged down in Afghanistan and nothing else-can do about it. In fact, Beijing benefits from Washington keeping the Taliban busy while it pursues its own objectives elsewhere in the neighborhood. In order to shore up this economic and resource expansion on the continent, it is necessary for Beijing to keep good relations with Moscow. Russia holds this new arrangement together, keeping the northern flank intact and providing the cooperation needed to work well with local elites in the region. But Russia, with its insecurities about the Siberian frontier, remains cautious. The historically inclined inside the PRC are probably salivating at the potential for analogies for when the Han Dynasty divided the Xiongnu Empire and turned some of them into perpetual warrior proxies on their behalf. Therefore, one suspects as Chinese interests grow in Central and possibly South Asia that tacit yet unofficial backing of Russian bellicosity in the Caucasus and Eastern Europe will in fact increase. They would never admit it openly of course, but to drive the wedge further between Russia and western Europe and the US is to keep Russia from contesting losing some relative influence in Central Asia to China. Not to mention that if very successful, this policy could also reduce the long-running de facto military hardware export dealing between Moscow and Delhi, which would further strengthen China’s position towards its giant southern rival. Assuming this comes to pass, I actually see it as a potential positive in world affairs. A confirmed sea power and a confirmed land power with minimal ability to directly interfere in each other’s interior business and with only a few places where proxy conflict could break out. A type of Cold War lite with the appeals to ideology mercifully slim. Of course, in order to keep Moscow and Brussels sufficiently separate even in this best-case scenario major upsets will occur. And of course it requires two very important and totally not guaranteed variables: Sober realism in both Beijing and Washington. Despite having started out near the beginning of this blog with a couple book reviews, I have not really kept the trend going. So, I figure it is time to look at a book I discovered purely by accident here in a DC bookshop and recently finished. ‘Classical Geopolitics: A New Analytical Model’ by Phil Kelly, Professor at Emporia State University. Kelly seeks to make the article, in a vein similar to Brzezinski or Kaplan, that geopolitics is a lost art buried by frauds (such as the racist Nazi version of geopolitics) or obfuscated by…well, an ideology which does nothing but obfuscate, such as postmodernism (seriously, when did anything good ever come from putting the word ‘critical’ on the front of any academic topic?). The main thrust of his argument is that at its core geopolitics has an emphasis on the geo part-a la geography- and thus is an understanding about physical properties and the shapes of states and their access to resources with no predetermined ideological baggage. He goes even further than most in seeking to divorce geopolitics with the theory it is most widely connected to, that of realism. Kelly does not deny that on so many issues the theory of realism will in fact merge with that of geopolitics, and is its closest fit, but he seeks to establish geopolitics as a stand-alone strategic understanding in its own right. This may be one of the more unique arguments in classical geopolitics I have yet seen. As to what he means by classical geopolitics, it is the method of focusing international and foreign policy strategy around geographically based strengths and weaknesses, resource bases, the trade routes that connect them, and the general logistical issues which arise between these physical factors. It is a kind of study which is often associated with being created by Halford Mackinder, but antecedents of which have been floating around many cultures and eras. Most notable would be Kautilya’s understanding of the geographic and political checkerboard made by multipolar systems in Northern India in the classical era early Maurya Empire as well as Sun Tzu’s clear prioritization of shaping ones military and sometimes diplomatic strategies primarily around the nature of the geography one has to work with. One does not have to agree with Mackinder to be into geopolitics. I myself believe that though he started an interesting discussion, if Mackinder were right A. land power would have long since superseded sea power before the 21rst century and B. that the Soviet Union would have come to at least equate if not outright outperform the United States. Obviously, none of these came true, though one could argue that in the case of the latter it was because of skillful grand strategy on behalf of the Nixon administration towards China and the exploitation of the Sino-Soviet split. But Mackinder brought the centrality of geography to foreign policy back to the European (and North American) worlds as a keystone with a power unseen since Hadrian demarcated a defensible height and stopping point for the Roman Empire. Many of his acolytes were more interesting either by refining his thoughts in a more interesting way (Spkyman) or for being ridiculous and downright terrible (Haushoffer, Dugin). In Kelly’s book I also learned about the very recent ‘Great Powers and Geopolitical Change’ by Jakub Griegiel, which I very much plan to read in the future based off the synopsis given. Perhaps it will be the next book review to appear here. One commonality that most geopolitical thinkers have, no matter their interests or disagreements, is the importance of Eurasia. As a supercontinent (if India is not considered a separate continent than neither should Europe be, anyway). It is ‘the world island’, the place where the most people, land, and resources lie. If a single power were to exert dominance over all of it at once its power-projection capabilities would be truly immense. Of course, the nature of multiple large powerful states in Eurasia does make this exceedingly difficult and even the China of today is more constrained in the international hierarchy than the Han or Tang dynasties were at their heights. Still, it behooves those on this landmass who are not major powers and are jealous of their autonomy to ally with stronger powers which can prevent such a geographic monopolization. The United States fills this roll better than any other country yet has. Its own fortunate terrain (total hemispheric dominance and major naval protection while also being located suitably far from major powder kegs) being the predominant factor in this equation. What I like best about Kelly’s work however is not merely his defense of furthering this once popular but now on the back-burner field, but his South American academic background. Nearly every example of non-global but rather regional geopolitics comes from what I once referred to as ‘the strangely overlooked continent‘ which is a nice departure from normal literature on the subject. I do have some quibbles with the text, however. First of all, many may be turned off by the very academic style of the writing. Being a veteran of academia, I was not, but its worth noting. Another thing is that Kelly argues that geopolitics should be positivistic, and I believe it is too into the humanities for this to be desirable. He also then adds little that could actually be in the field of positivism, further boosting my criticism. Arts of Strategy are often called arts for a reason. I feel if one wanted to go into that direction one should study geology and the earth sciences more. Even though I am not a fan of positivism in IR, geopolitics itself got me into the topic and I now possess a hobbiest level of knowledge about plate tectonics, ecology, and the like. But you never see any of that in geopolitical literature which makes it come off as a bit solely map-studyish. But none of these concerns negatively impact the overall point of the book or the main arguments made therein.